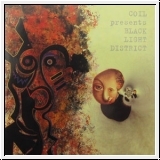 Reissue one of the key albums in the Coil discography. 'A Thousand Lights In A Darkened Room' was recorded in 1996 and released under the project name Black Light District (the name was taken from a track by Boyd Rice). John Balance, Peter Christopherson, Drew McDowall, Danny Hyde were a part of this record and this reissue is authorized by Danny Hyde.